You are tempted by the Perigord Noir? Holidays Dordogne? you ask. Someone tells you about Sarlat, Domme, castles, fortified towns, prehistory, and canoeing on the river Dordogne. 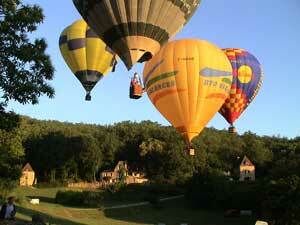 Someone also mentions the numerous Perigord Noir cottages and other holiday rentals there! 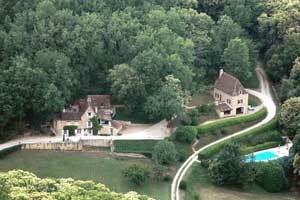 But among so many gites and self-catering Dordogne cottages, how will you find your own perfect Perigord Noir cottage? You would like it to be comfortable, a stone house with a swimming pool if possible, with a view, in a quiet and charming area but very near the tourist sites? But where are these holiday cottages ? At the end of this holiday journey perhaps you will have followed the river Dordogne, found the famous Perigord Noir area, and certainly passed beneath some castle or fortified town, perched on a cliff. The village of La Roque Gageac is very near, but you leave the lively valley to climb up a small road to the hills. The slope is short (1 mile) but charming: the noise abates, the atmosphere becomes quiet and the view expands. A stone wall, the entrance to Roquecombe, and here is the place! You were looking for a holiday rental. You have found a quiet place, so far from everywhere … but so near everywhere. Because everything is near the Roquecombe gites: you are in the heart of the Perigord Noir. 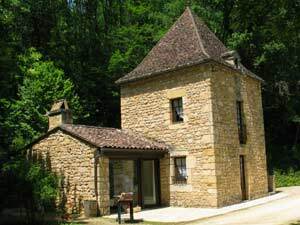 The rental houses are at 8km from Sarlat, and 2km from the river Dordogne. Domme is on the opposite hilltop, Castelnaud or Beynac castles and the Marqueyssac gardens are within range of a "trebuchet". Well, what is a "trebuchet"? We will tell you that and many other things, if you wish: it is our pleasure to share with you our passion for the Perigord Noir, this beautiful and rich region of Dordogne, and also to allow you to spend a restful holiday in a rental house at Roquecombe.